This stunning polished aluminium and glass lantern stands 40cm tall and offers ample space to display a pillar or votive candle. A classic and understated design chosen by Retail Furnishing for its exceptional quality, it makes a practical light source and looks fantastic as a display piece. Perfect for dressing a hallway or adding interest to a corner, try grouping it with planters or other lanterns. Treat yourself to a pair to create an instant update for a room. Polished aluminium works with any home decor and our stylish design creates an effective display piece. 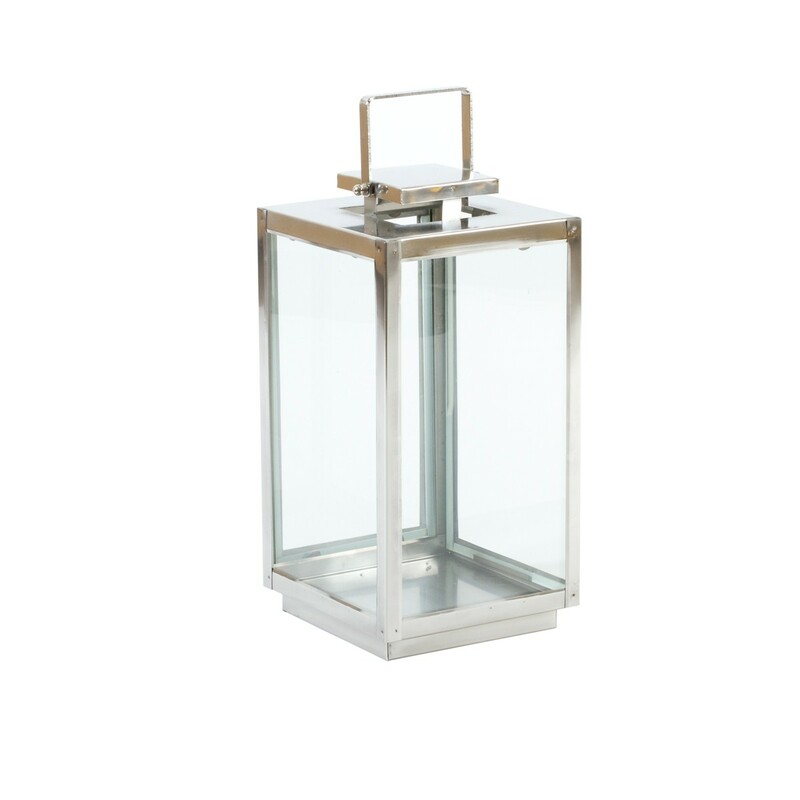 Use the aluminium lantern to dress up a corner of the hallway or living room. Take it outside for mood lighting on the terrace when the weather is balmy. This lantern works beautifully with other metals and natural woods.